We’ll be the first to admit it: There is something rustic and beautiful about a (well-maintained) wood fence. But that beauty easily fades when the fence becomes weather-worn, damaged, or rotten. Advances in new engineering materials have now made the modern plastic fence (or vinyl fence) a worthy alternative. But is a plastic fence right for you? 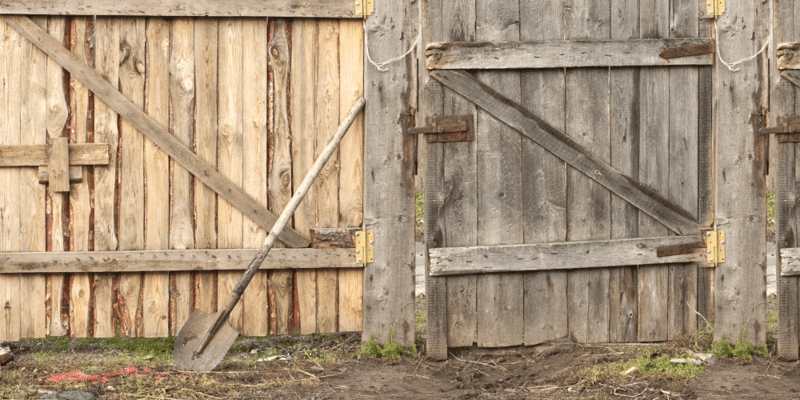 How does it compare to a traditional wooden fence when it comes to things like beauty, construction, and home value? 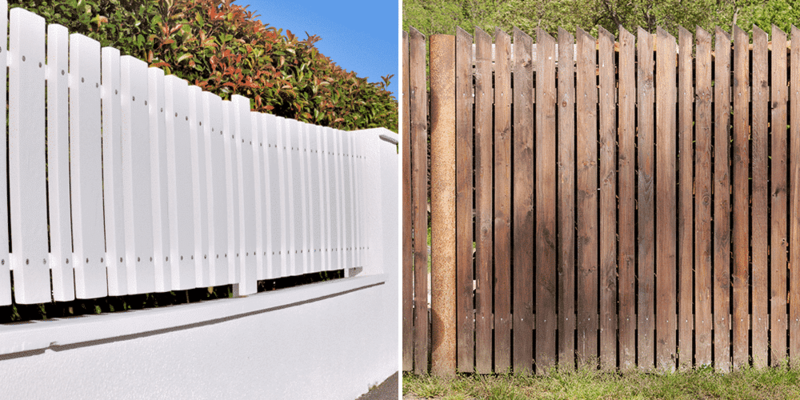 It’s time we did a head-to-head comparison of: Wood vs. Plastic/Vinyl fencing. Wood fencing is a traditional way to go, and many older houses sport this kind of fencing. It offers a variety of styles, but if you want something outside of a few industry-standard styles, you will need to hire a carpenter to do a custom job. Today’s plastic fencing is not like the plastic fences of your father’s generation. Most have lost that “cheap vinyl” look and can now mimic the shape and feel of wooden fencing. This makes plastic fencing a good overall compromise between budget and beauty. But here’s the industry secret: Many of the fences you see nowadays are actually plastic or vinyl. People simply don’t notice that, the fences look so good! So there really are more plastic fences out there than you might think. Is a Vinyl Fence the Same Thing? These days, most “plastic” fences are made of a substance called PVC, or polyvinyl chloride, resin. This is the same material they use to make modern plumbing pipes, sign material, and a number of other products that need to be strong and maintenance free. 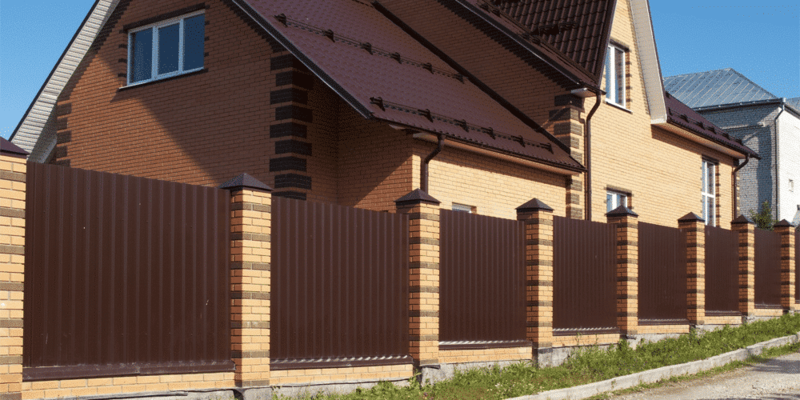 The PVC resin is combined with a number of other key ingredients that improve its sturdiness and weather resistance, making it an ideal fence material. 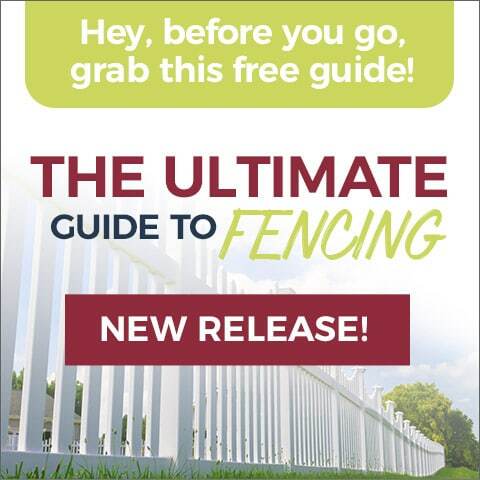 If you feel ready to give plastic or vinyl fencing a try, you can start by picking out a style that works for you. 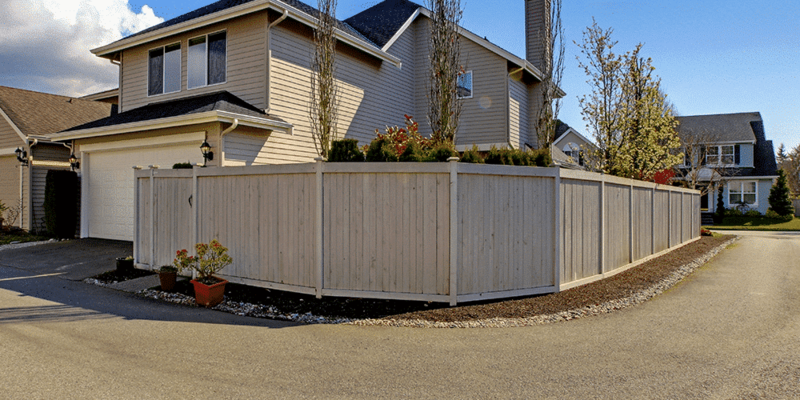 If you live in the St. Louis area, we hope you will contact us here at Maintenance Free Outdoor Solutions to handle the installation of your fence. We do not use subcontractors, but instead bring in our own team of fencing experts to give you the best service possible while also being sensitive to your budget. We are also proud to have earned– and kept– our A+ rating with the Better Business Bureau. For more about installation with us, see our FAQ. Or better yet, contact us for a free onsite estimate!